Some days, you just need a brownie. Like a Monday morning – I don’t know about you, but this whole Monday morning business would be a lot easier if brownies were involved. What’s not to love about a little square of chocolate decadence. They always bring a smile to my face! And I have the perfect recipe for you today. 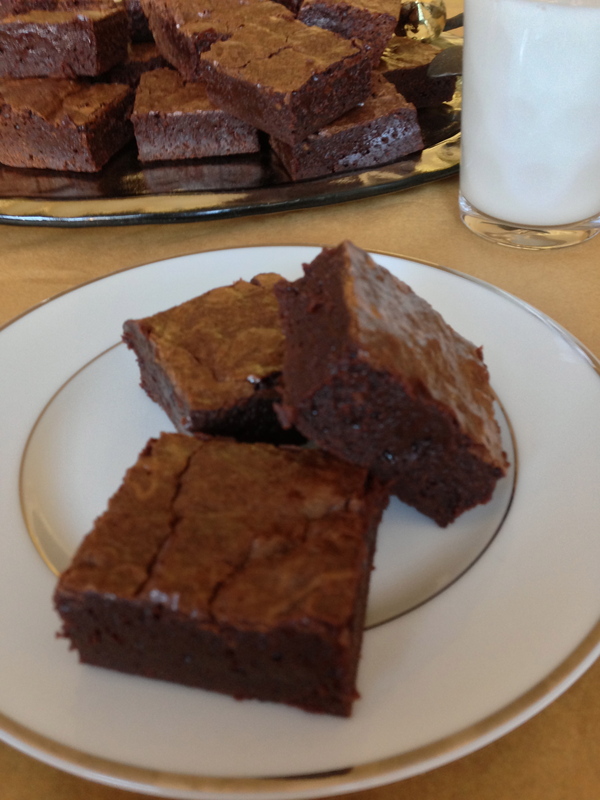 These brownies are fudgey, moist, and have a deep chocolate flavor. They are simple – no salted caramel or extra chocolate chips. 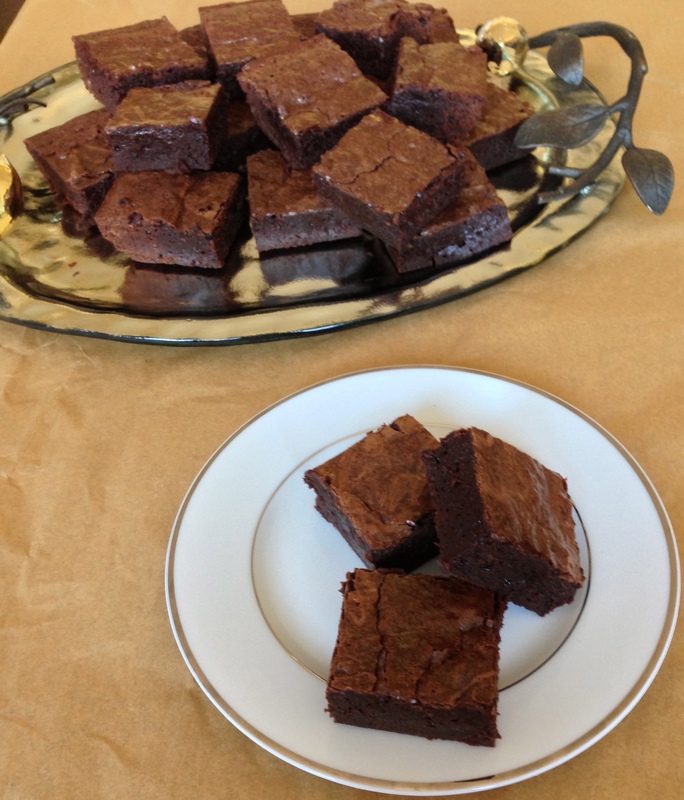 And while I enjoy all types of brownies, today I’m sticking to the basics – classic, intensely chocolaty brownies. Add in the chocolate / butter mixture. Add the flour to the chocolate / egg mixture. I lined my pan with a parchment paper sling for easy removal. Make sure to still grease the pan even if you use parchment! 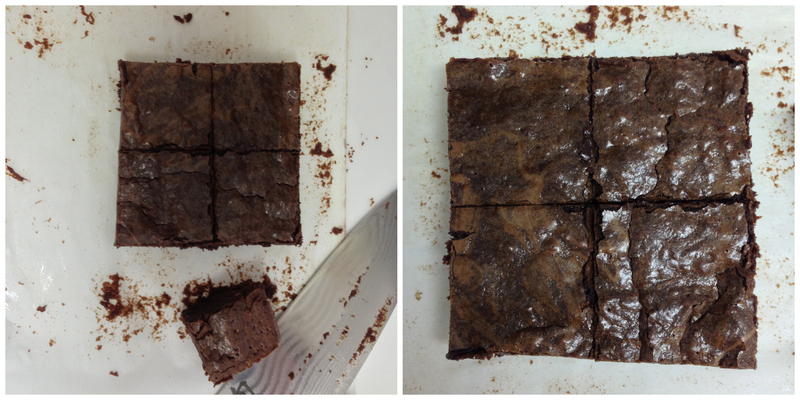 Cutting the brownies, look at those perfect squares! 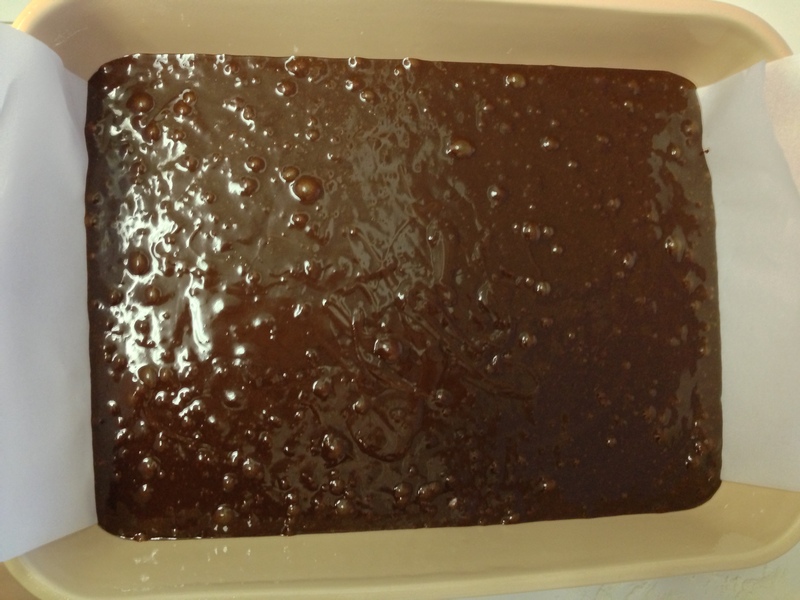 Slightly under-bake the brownies so they stay moist and fudgey. Look at how gooey those are! My favorite way to package baked goods. This is one time that I actually recommend letting the brownies cool the full amount of time. Now for purely R&D purposes I tried them warm out of the oven. But they were a mess to cut! After 2 hours, the parchment sling lets you lift the whole tray out so easily, and they cut perfectly. And also, the flavor was actually better after they were cool! Preheat oven to 325 degrees F. Butter and flour a 9 by 13 inch baking pan. 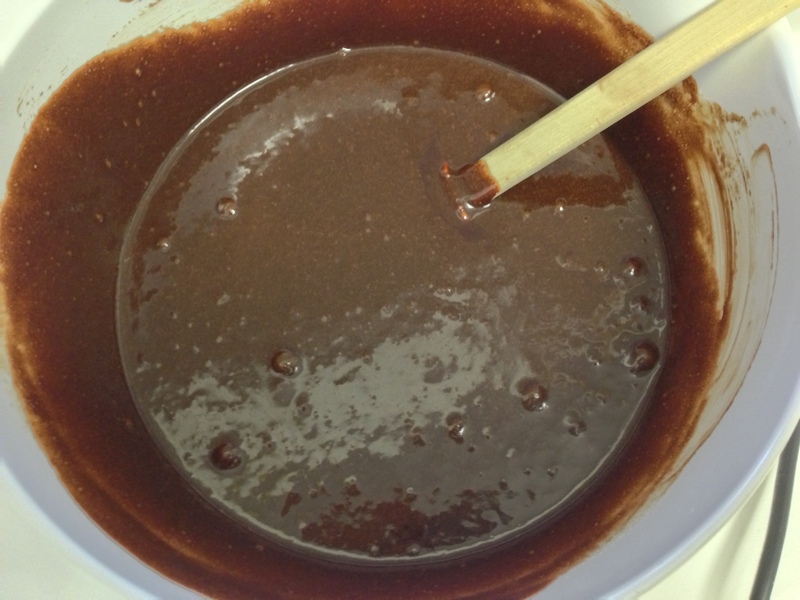 Place the unsweetened chocolate and bittersweet chocolate in a medium heatproof bowl. Place over (not touching) barely simmering water in a saucepan and heat, stirring occasionally, until completely melted and smooth. (You can also melt the chocolate in the microwave. Heat it on 30 second intervals, stirring after each interval until fully melted). 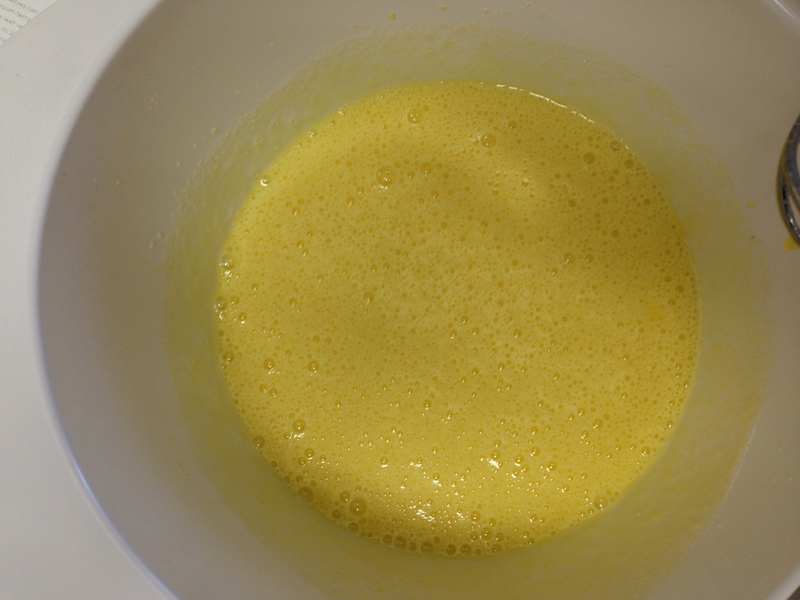 Remove from the heat and whisk in the butter until well mixed. Let cool slightly. 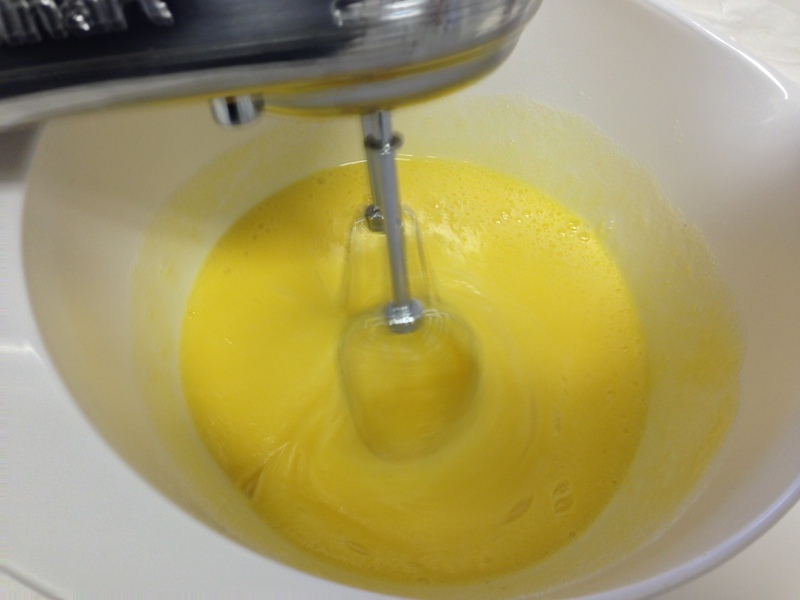 Briefly beat the eggs on low speed with a handheld mixer. Slowly beat in the sugar for about 1 minute total, or until frothy and somewhat thick. Using a rubber spatula, fold in the chocolate mixture. Make sure the chocolate has cooled slightly so that you don’t cook the eggs! In a medium bowl, sift together the flour, baking powder and salt. 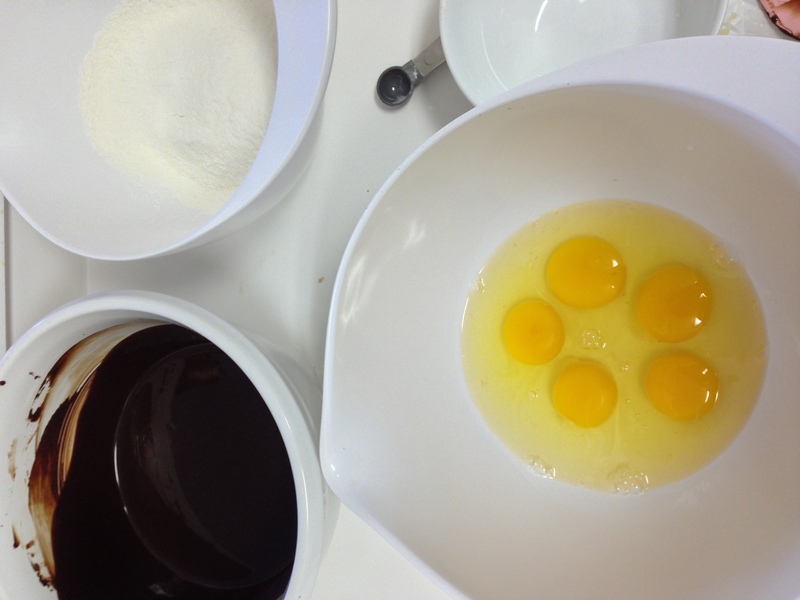 Using the spatula, gently fold the flour mixture into the egg-chocolate mixture until thoroughly combined. Scrape the batter into the prepared pan and spread in an even layer with the spatula. Bake for 30 to 35 minutes (but check every few minutes starting at 20 to make sure the brownies don’t over-bake), or until a tester in the center of the pan comes out with a few wet crumbs on it. Let cool in the pan for at least 2 hours. They need time to firm up enough to cut. Ahhh how did you KNOW that I needed brownies today?!? I am absolutely making these today. (I’m working from home, so it’s perfect). 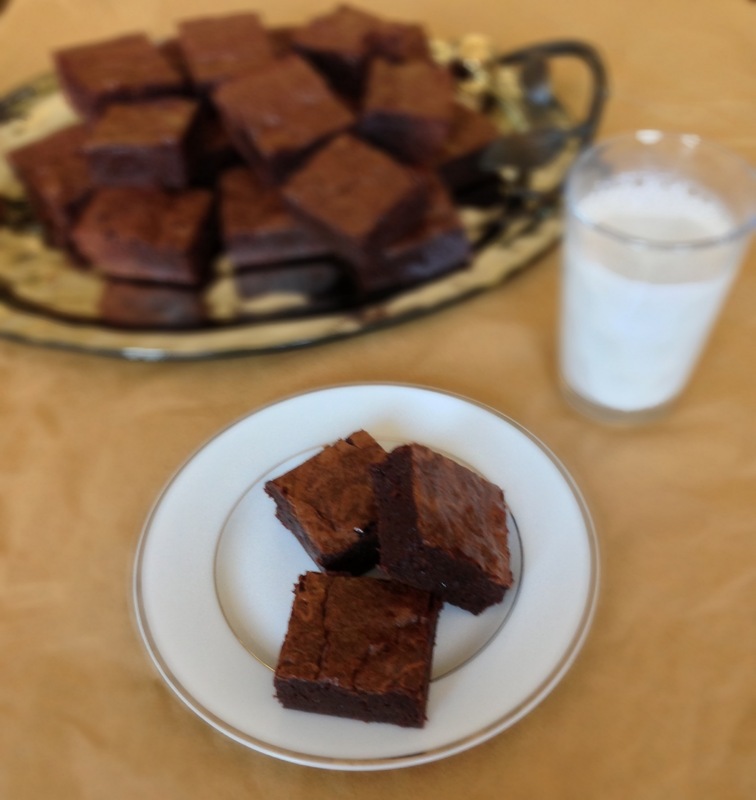 I have been craving a really good brownie and I’m so thankful for your recipe. Thanks so much for sharing. They look SO perfect! Thanks Stephanie! Let me know how they turn out for you, hope they brighten your Monday! Thats some fudgey good stuff right there!! They looks amazing! You should come to my house every Monday morning with a bag of those brownies. That would be the perfect start for a new week! I wish I could bring them by – instead, I have been eating WAY too many!! Mmm, I’m not much of a chocaholic but I might become a convert for these great pics too! Thank you! I do think these could convert anyone into a chocaholic! 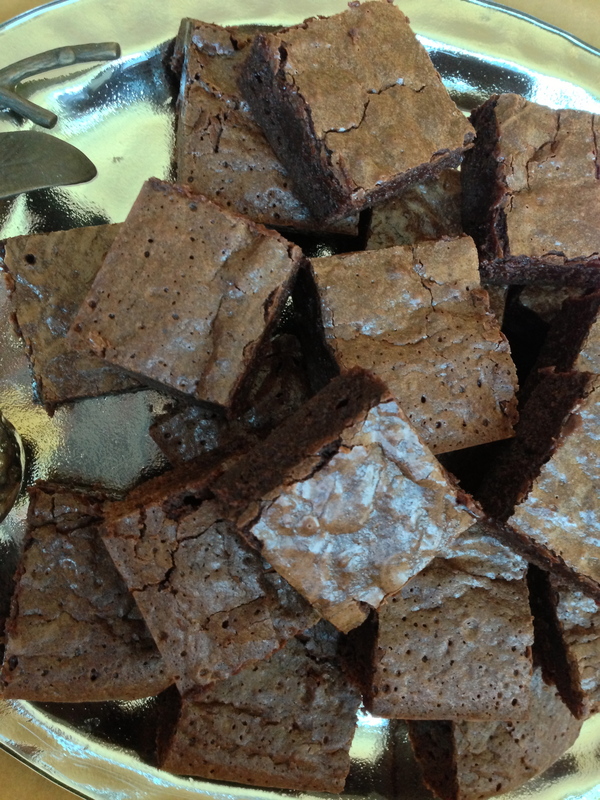 I definitely agree–some days you do just need a brownie. Those days come a little too often for me…these look they would really hit the spot! I see brownies and I have to check it out. These look delicious. 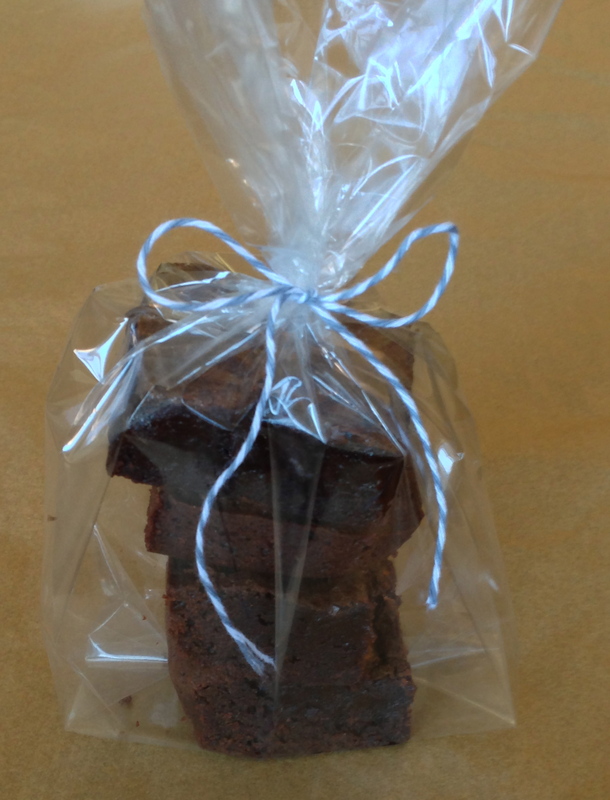 I’ve not met a brownie I didn’t like but I do think the ones made with unsweetened chocolate are extra special. Yummy!